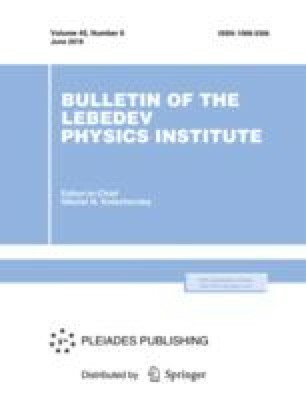 The results of numerical studies of pulsed radiation of the induction copper vapor laser are presented. The laser is excited by trains of high-frequency (10–70 MHz) electric current oscillations. Trains follow one after another with a frequency in 2–17 kHz. The features and variety of obtained laser radiation pulse shapes and their applicability to diagnostic purposes and other practical problems are discussed. Original Russian Text © V.M. Batenin, V.T. Karpukhin, M.M. Malikov, V.Ya. Mendeleev, M.A. Kazaryan, R.A. Zakharyan, N.A. Lyabin, 2018, published in Kratkie Soobshcheniya po Fizike, 2018, Vol. 45, No. 6, pp. 11–19.